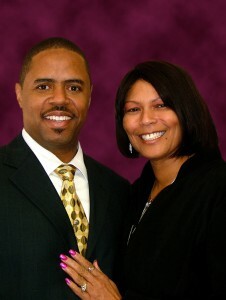 Pastor Dana and Cheryl Everage are the founders of Vegas Christian Center. The Ministry was founded in June 2005. They relocated from Los Angeles to Las Vegas in June 2006. They have three children of which lives in the city of Las Vegas. Pastor Dana Everage is an anointed and gifted Pastor and Teacher. His Ministry teaching style is such that you will be encouraged, edified, and instructed in righteousness. He is a graduate from Azusa Pacific University earning his BS Degree in Christian Leadership. He also graduated from Crenshaw Christian Center’s Ministry Training Institute. He is a Licensed and Ordained Minister of the Gospel Ministry by Vegas Christian Center and Crenshaw Christian Center. He served as an Assistant Pastor and Director of Youth Ministries under his mentors and spiritual parents Apostle Fred and Dr. Betty Price. Pastor Everage also served as a FICWFM Representative for numerous years. Pastoral Assistant Cheryl Everage is an anointed Teacher and First Lady at Vegas Christian Center. Her Ministry teaching style is practical, informative, and uplifting. Cheryl earned her Master’s Degree from the University of Southern California in Educational Counseling and two BA Degrees: Psychology and Sociology. She is also a graduate from Crenshaw Christian Center’s Ministry Training Institute. She is licensed to Minister by Crenshaw Christian Center and supports her husband as the Executive Vice President of Vegas Christian Center. For over 20 years she has worked with her husband in the Ministry under her mentors and spiritual parents Apostle Fred and Dr. Betty Price. Read more about Pastor Everage in the article published by the Ever Increasing Faith Magazine. in the life of God’s creation living in Las Vegas, the nation, and the world. The vision statement is the cornerstone and foundation of our Church. It defines the reason for our existence and serves as the lens of our purpose. Vegas Christian Center exists for the sole purpose of fulfilling what it is that God wants done in the earth for all creation – nothing more. Without clear vision, there is a waste of time, talent, and treasure. A lack of vision fosters misbehavior. When vision is clear, it helps people live for a bigger purpose. Our purpose is precise; it’s a niche with a specific calling and anointing, that is to impart God’s vision (His perspective) into your life. Vegas Christian Center is a community where we demonstrate the power of God through its various Ministries. We will strive for continuous improvement by developing, changing, and redefining this community using tools that are contemporary and relevant for today’s society. The statement of faith is a concise description of what we believe and teach. The principles found are consistent with other bible-believing, word-teaching, non-denominational church. We believe that the 66 books of the Holy Bible are the inspired inerrant Word of God. It is the final authority for all we believe and how mankind should live. Salvation has been provided through Jesus Christ for all mankind. In the personal, visible, and imminent return of Jesus Christ.